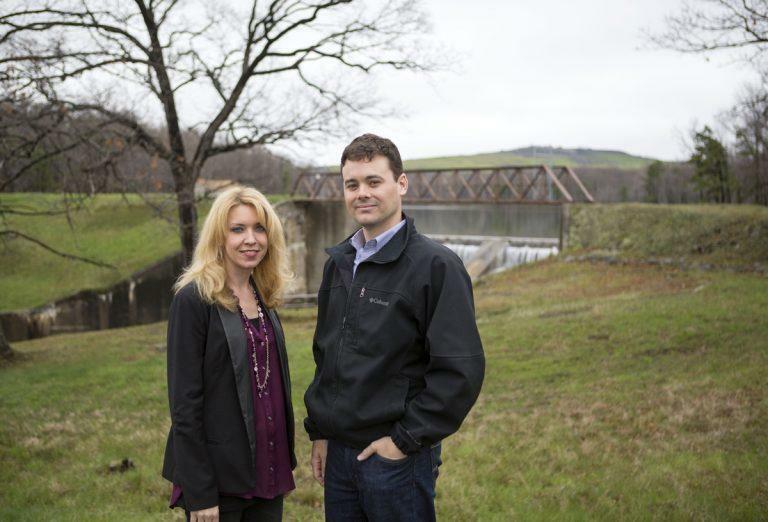 Michelle Dempsey and Pat Clark of Friends of Lackawanna stand in front of the Dunmore Reservoir in 2016. In the distance, you can see the Keystone Sanitary Landfill. Find this post and others at the site of our partner, Keystone Crossroads.